This post contains affiliate links. Read my disclaimer here to learn more. The gallbladder is a tiny organ located in the upper right side of your abdomen just under the liver. 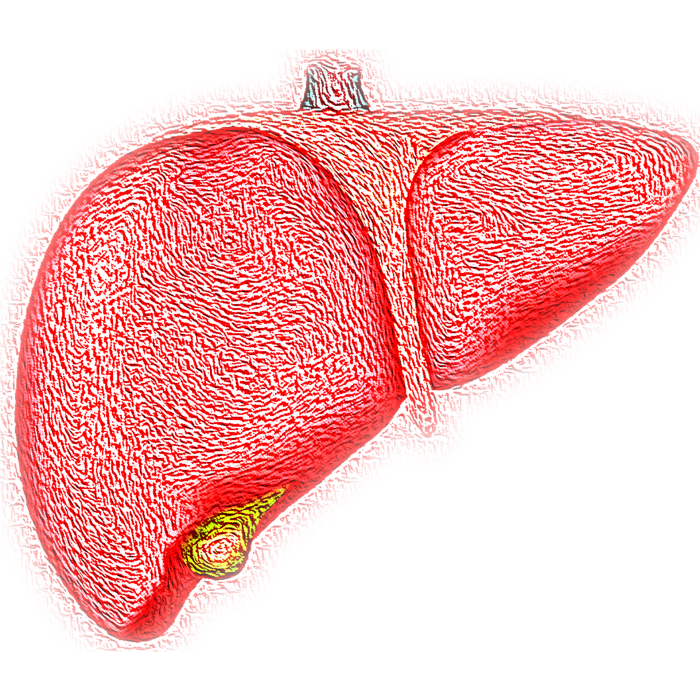 It stores bile, produced by the liver and releases the bile into your small intestine to help digest fats. This peaceful little organ usually doesn’t cause any problems, but when problems occur you’ll know it! Gallbladder disease is brought about when flow of the bile slows down or gets blocked. Usually resulting in gallstones. It includes inflammation, an infection or stones occurring in the gallbladder. If left untreated, gallstones can lead to Pancreatitis. Both can be life threatening, but you can reduce the inflammation naturally. Gallbladder disease is most commonly caused by talking medications, birth control pills, alcohol overuse, diet and certain infections or diseases. I live with gallbladder disease. It came along after taking birth control pills. If you haven’t read my post about birth control pills, check it out here. Why not just remove the gallbladder? The symptoms of gallbladder disease aren’t pleasant, so why not just get it removed? Well, I believe we have each organ for a reason. The gallbladder, although it can cause great discomfort, is no exception. I contemplated getting my gallbladder removed, but after talking with several people who had theirs removed, I realized that it’s better to live with it rather than getting rid of it. Removing the gallbladder isn’t a cure. Where is all that bile that was once stored in the gallbladder going to go? – It’s free to drain into your intestines, which could lead to other problems. Most who have had their gallbladder removed, said that they’ve had to give up red meats, fats (both good and bad) and certain fruits and veggies. Their bodies can no longer tolerate such foods. This to me, seemed worse than dealing with pain every once in a while. When you have gallbladder disease you need to watch what you eat. Sometimes though you feel great and push it. Your gallbladder will let you know when you’ve over done it. There are times when it will hurt for seemingly no reason. When this happens, take it easy. Go a few days without fatty or greasy foods. Eat a lot of veggies, lean meats, grains and beans and broth. Lemons and grapefruits are great for cleansing the gallbladder as well. I know it’s really gross but taking a shot of olive oil (1/4 cup) with lemon juice or grapefruit juice (1 Tbsp) on an empty stomach helps break up stones and relieves pressure and pain. You can follow up with water, but try to keep it down. Overall make the needed changes in your diet so that your chances for an attack are less. Eat real foods everyday. Cut out processed foods, sodas and refined sugars. 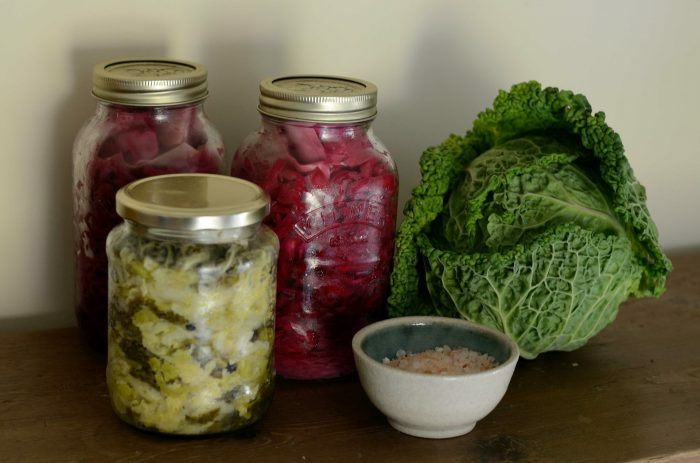 Fermented foods are high in probiotics and are great for your digestive system. Look for sauerkraut, pickles and other fermented foods that haven’t been heated in the fermenting process, or make your own! The heating process kills off the good bacteria, and won’t give you the full benefits. Don’t just eat foods high in probiotics though. Probiotics are good bacteria that are living organisms that need food. If you’re not feeding them, they will die before you reap the benefits. Probiotics eat prebiotics. Along with eating well, I take a digestive aid. You can find it here. This helps support the gallbladder and digestive system. It’s possible to live a normal life with gallbladder disease, you just need to listen to your body and know that it’s okay to slow down and give your body a break every once in a while. I’m still able to eat my fish and chips, burgers and pizza, but it’s all in moderation. This is super informative – I know other people that opted to have their gall bladder removed and regretted it afterward as well! My grandmother is currently suffering this (and has been for the last year), alongside terminal liver cancer, COPD & Diabetes (type 1). She has had frequent trips to the hospital for fever, shaking & a number of other things you mentioned. It’s really something that needs brought to attention more often than it is. Thank you for sharing this, especially your food tips! Although it doesn’t really matter now due to her other health issues getting in the way, this is good to know for future in case any of us end up with the same thing. I’m glad you found this helpful! If you need any other info or advice, I’m here to help.